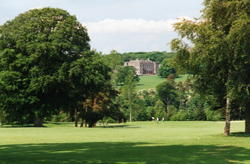 Borris Golf Club is a very mature parkland in one of the most picturesque settings the South-East has to offer. Located near the Carlow-Kilkenny border in the town of Borris, the course commands panoramic views of the area, with Mount Leinster and the Blackstairs mountains to the east and the Barrow valley to the west. Established in 1907 on the McMurrough Kavanagh estate, this strategically tree lined course provides a challenge to golfers of all levels. Although a 9 hole course, the alternating tee-boxes give the impression that there are 18 distinct challenges on a round. The course measures 5,680 metres with a Par 70 and a standard scratch of 69 from the men’s tees. The ladies course measures 5,103 metres with a Par 72 and a standard scratch of 71. 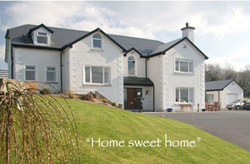 Located close to Borris Town in County Carlow.